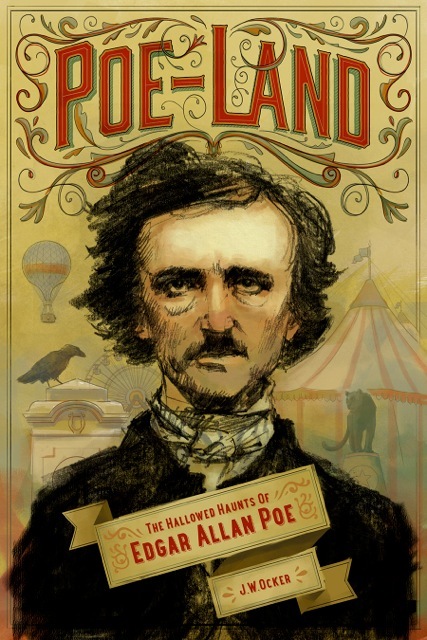 My latest book Poe-Land: The Hallowed Haunts of Edgar Allan Poe is a weird one. It's part biography, part travelogue, part guide book, part journalism piece...yet it's not fully any of those genres. But it is all about Edgar Allan Poe. To help explain [sell] it, I've posted the introduction to the book below to give you some insight into whether it's your kind of read. But if you love Poe, I can guarantee that it is. Enjoy. Edgar Allan Poe was an oddity. 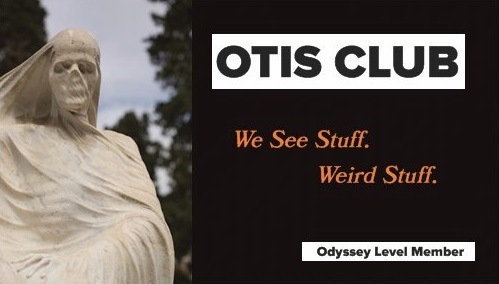 His life was odd, his literature is odd, his legacy is odd. He was an author of unique genius, and if it’s lazy for me to use that shorthand, then he was one of unique ability, unique vision, unique expression. He didn’t so much write words as weave them together into strange fabrics that compel you to either tapestry them onto a wall and marvel or smother someone to death with them and marvel. He had a vision so insistent that he had to invent or evolve entire genres of literature just to express it. With “The Murders in the Rue Morgue,” he created the modern detective story, meaning he made possible about 80 percent of con- temporary literature and television programming. No Poe, no Poirot, no Magnum, P.I. And that’s three mustaches the world would be impoverished without. He sent a man to the moon thirty years before Jules Verne did and more than half a century before H. G. Wells did. He destroyed our planet in a comet- born apocalypse, a trope of the science fiction genre that we’re still troping today. And horror stories—well, if Hell is a hall of fame for earth’s horrors, then Poe has his own demon wing there. And that latter bit really doesn’t fit. His dexterity with words could have floated him among the loftiest of poets for sheer beauty and craft, and he was a poet, for sure, as that was where his passions settled naturally. But he could have been the American Shakespeare. The American Shelley. The American Slick Rick. Yet, he turned that genius to stories and poems of horror. Or at least, that’s where his genius refracted the most light. In death. In gloom. In despair. He focused that high ability on what has traditionally been considered low literature and what today has been neatly circumscribed as the horror genre, and which is still often kept at a safe distance from its playmates. By doing so, Poe elevated the genre and forced many to take it more seriously than they otherwise would have while inspiring many others to pursue it as worthwhile. His genius is so inescapable that we find it necessary to introduce stories of madmen, of murder, of exotic torture and obsession with death to our children in school just because we need to show them what great literature is or else fail in our roles as educators, decent people, and apex predators. And yet, despite the fact that his horrors have granted him eternal life as far as we can bestow it, most of his work is comedic, silly, full of puns and trivialities. I think if he had been barred from claiming the mantel of poet, he would have claimed that of satirist or humorist, a film negative of Mark Twain. But if humor was all he’d written, nobody would have cared about Edgar Allan Poe. His comedies are trifles. His horrors are exquisite. Another odd aspect of his work is that when Poe wrote well, he wrote like the English language was newfound. When he was bad, he wrote with a dull axe in both fists. I don’t know if I can ever read The Narrative of Arthur Gordon Pym again. And, honestly, if threatened with living entombment, I could probably make a longer list of his bad and mediocre works than one of his good and great works. Plus there were his plagiarisms, which were frequent and blatant enough to relegate him to one of the laughingstocks of literary history, yet we brush them aside like it’s okay for a guy like Poe to have that kind of body beneath his boards. Certainly, the inconsistent quality issue might not be Poe’s fault. Every author has levels of quality that range throughout his or her career. It’s just that those with a larger body of work can better hide or context the juvenilia, the paycheck work, and the bad decisions (or can afford to at least destroy them in a fire, as Ray Bradbury is supposed to have done). Poe’s base of work is small, and he was forced to pad it just to have something to stick silverware into. And it doesn’t help that his work is held in such high regard that we lust after every scrap of paper that he so much as poked with a quill. But all that still doesn’t plumb the depth of this angel of the odd. His work is heralded by the dustiest of scholars. The most ivory towered of academics. Even when various critical tides turned against him over the years or when he was ravaged by those prominent literary voices who were somehow born without a Poe gene, his work still bore the showy stamp of approval of the most cultured culturati. And yet he is just as much a part of pop culture as the latest dance song or Internet meme or reality television show. Everybody knows Poe. And, sure, there is a pantheon of writers and artists that everyone can recognize by name and signature work, but those men and women aren’t held with the same passion. From the teenagers who have barely existed long enough to have sampled anything in life to the elder librarians who have read every word printed on silverfish food, an astounding number of people of an astounding variety of tastes and lifestyles love Poe. Or identify with him. Or recognize him as some kind of symbol. I mean, he’s a Halloween decoration. Take that, every other writer. Just over the course of the writing of this book, which covered all of 2013 and some of 2014, there debuted a prime-time network series inspired by Poe, an NFL football team named after his most famous poem won the Super Bowl, and a major U.S. city put together the funding for a statue of the man to adorn one of its most prominent spots. Heck, in July of 2013, an original manuscript handwritten and signed by Poe for his poem “The Conqueror Worm” went up for auction in Massachusetts, his birth state. The five stanzas pulled in $300,000. More than two centuries after his birth, Edgar Allan Poe is bankable—in the entertainment industry, the sports industry, the tourism industry. Check the web. He even has a pretty fulsome merchandise line. His action figure is staring morosely at me on my desk as I write this introduction. Of course, he never got any revenue from raven-adorned T-shirts or plush black cats. He lived a life of poverty and relative obscurity, the value of his work to a burgeoning world of American literature, and to human letters in general, going mostly unacknowledged during his lifetime. And while that’s not too strange in the literary world, where many live and work without acclaim and yet still secure a legacy of fame posthumously, Poe’s pendulum swings wider and stranger than most in this regard. The position he and his work hold today and the position they held in his lifetime are so out of proportion as to give credence to the idea of cosmic jokes. But there’s more to his legacy than just his work. We regard him not just as a poet and an author, but as a figure. I don’t know what Virginia Woolf looked like. Charles Dickens is a vague beardy impression. My own great-grandfather might as well be faceless for all I know of him. But Poe’s dour countenance is as easily recognizable as the latest United States president. We are hyper-aware of the man who wrote the words even as we read them. We can’t peruse “The Fall of the House of Usher” without imagining Poe as either the visitor or Roderick Usher himself. Unless we’re imagining the latter as Vincent Price, I guess. Our movies and books are full of stories that use Poe himself as a character. Partly, that’s because there seems to be a lot of Poe’s life in his characters, from intense, uncomfortable-to-behold romances to the terrors of death and losing those held dear. I’m guessing an actor would be happy to play the role of Prince Prospero or William Wilson, but he would be ecstatic to play the author himself. And from Klaus Kinski to John Cusack on the screen and John Astin to Jeffrey Combs on the stage, quite a few actors have worn the dark mustache and could testify. Which is strange to be so enamored by the character of a person whose main activity in life was scratching at paper while hunched in a chair. And that’s because we have this Myth of Poe, an image of a man tormented by both life and art, a melancholy creature, pathetic, ill-starred, and death-beset, perched precariously on a tight-rope pen, his only salvation from the abyss of suffocating darkness and insanity below. A man whom that darkness eventually overcame in an end so tragic and outré that its details were hidden from history. I’m not saying there’s no truth in that myth. Scholars have debated since his death whether that impression of Poe is true, false, or an inextricable knot of both. Whether he wrote such tales as “Berenice” and “Ligeia” in a fit of morbidity or as a simple lark or as a cold and carefully crafted exercise in effect. But we do love the myth. Another odd aspect of Edgar Allan Poe’s life, literature, and legacy is that he and his work seem of no real place, a strange thing for a writer. Many of his con- temporaries have become synonymous with the locales they lived in and wrote about: Dickens in London, Irving in New York, Hawthorne in Massachusetts. Poe, on the other hand, was a man of limbo. During his short life his search for both success and subsistence led him up and down the East Coast, from his birthplace in Boston all the way down to an island in South Carolina, and he set his stories in a range of similar locales, including Europe, where he lived for five years when he was a child. But he spread himself so thin across the states it’s as if that was the cause of his mysterious death in Baltimore. He just ran out of Poe at that point in time and at that place. Edgar Allan Poe was an oddity. And it will take an oddity of a book to tell his story. Because of both his nomadic life and the strong passions that he and his work still kindle today, we have the opportunity to tell his story in a different way than the conventional. We don’t have to tell it chronologically, from start to finish. Or literarily, through the lens of his writings. We can tell it geographically. Today, every city whose cobblestones he so much as drunkenly scraped a foot across or within whose borders he brilliantly slung black ink into blacker text has attempted to claim a part in his legacy. 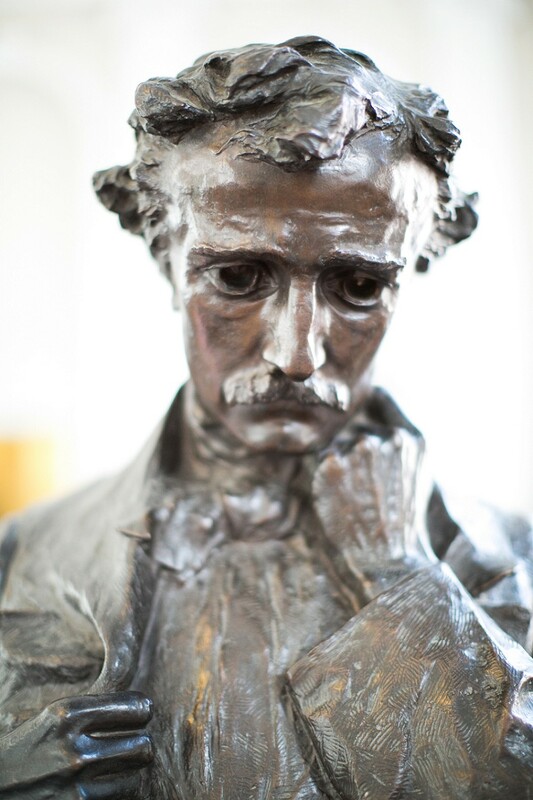 No less than four cities where he lived have official Edgar Allan Poe museums, and many more places tout artifacts and sites connected to him or have erected memorials in his honor. For this book, I traveled some one thousand miles of the East Coast and crossed an ocean to visit these hallowed haunts of Edgar Allan Poe, the places where he spent time, and which have since been beatified into landmarks to physically preserve his memory. These memorials include everything from statues of the poet’s person to artifacts from his body, life, and death to the humble houses that kept the rain off his head and the final place where the molecules that orga- nized into one of America’s greatest poets went their separate ways. Because Poe visited or lived at these places at multiple, nonconsecutive times throughout this life, we won’t be telling his story in order. For instance, take the chapter on his life in Massachusetts. In it, we’ll meet him as an infant, as a young man entering the U.S. Army, and as an older, respected lecturer and unrequited lover. Then we’ll travel to other cities and time-travel to other points of his life. As a result, we end up with a peculiar timeline for the author. Sure, he’s born at the beginning of this book, as with any traditional biography, but he dies just over halfway through. And it ends in anticlimax, with him under palm trees and warm sunshine in the subtropics of South Carolina. Now, I admit, telling a story geographically sounds like it could be confusing and, let’s face it, bland. So let me state it another way. We can tell his story experientially. 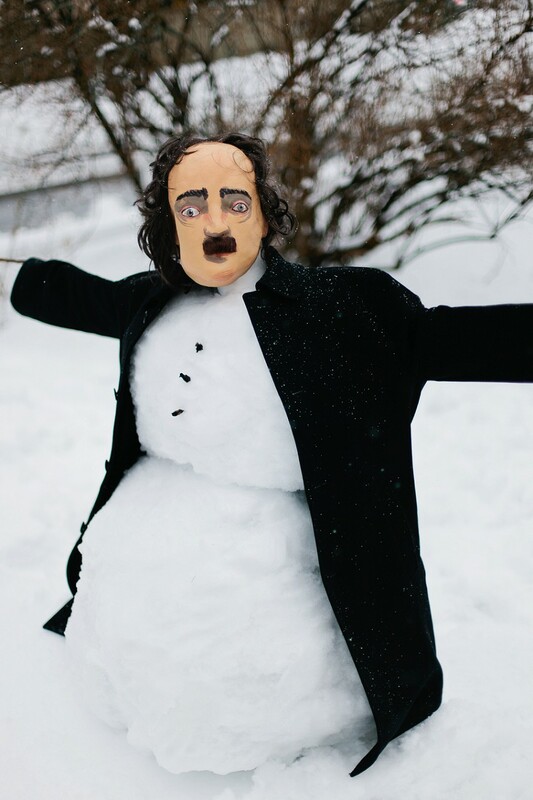 I have found by firsthand experience that, better than biography, better than literary criticism, better than watching fictionalized dramatizations of his life, tracking Poe through his hereafter of monuments, artifacts, museums, and pre- served sites is really the best way for us, today, to access and connect to Poe at a real level. Likewise, we can read about the sickness and death of his young wife, Vir- ginia, and read the poems he wrote about her, but to walk into the room where it actually happened, and kneel by the bed that she died in, is a more tangible way of experiencing Edgar Allan Poe. So, in a way, we can do more than just learn about Poe. We can go see him. We can live him. It just takes a few road trips. In addition to telling Poe’s story geographically and experientially, we’re also going to be telling Poe’s story posthumously. And I don’t mean that word literally, even though it is true. I mean that we’ll look at his life by looking at his afterlife, contemporarily. 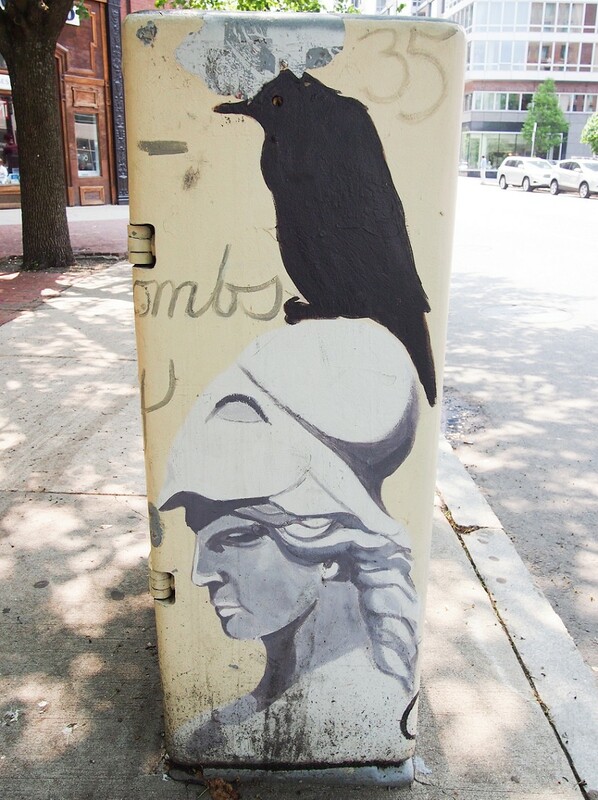 For this book, I’ve done more than seek out the physical traces that announce to the world that “Poe Was Here.” I sought the people who are responsible for scrawling them across the landscape. I’ve talked to those who are preserving Poe’s physical legacy, from the sculptors of his monuments, to the private col- lectors who treasure locks of his hair, to the docents who dedicate their lives to Poe’s, to the actors who have become him to keep both Poe and themselves alive. By doing so, maybe we can gain some insight into just why so many people today remain so invested in Poe, more than a century and a half since his death, and despite the thousands of amazing authors who have been born since his lonely little October funeral. We’ll see why it’s not enough that his work is preserved for the duration of culture but also everything from his bed to his breeches and every place he ever exchanged oxygen for carbon dioxide. Now, despite that hyperbole, this book is not an attempt to track every one of Poe’s footfalls. It’s not an attempt to investigate every spot or building whose continued existence is only incidental to the fact that Poe knew of it, nor am I visiting every site connected to those whom Poe met. Instead, it is the places and artifacts that were purposefully or consequently hallowed because of their connection to Poe—with plenty of exceptions when interest pulled me in those directions. Nevertheless, it’s a lot of Poe. Sure, at its most basic level, this book will tell the story of Poe’s life. But to encapsulate a man—an evolving, inconstant, and whim-prone creature—is impossible, silly, and an extremely important thing to do. Far more important than what I’m comfortable with shouldering. Still, in the same way that every biography creates a new version of its sub- ject, and every new version helps add facets (and smudge older ones) to what is necessarily a complex human being, I hope this book creates another Poe to stick amongst the scores of Poes out there on the shelves of libraries and in the netherspace of digital storage. I want to show you my Poe. The one I constructed from the very boards he walked across. The very bed he dreamed in. The very ink from his pen, hairs from his head, and the chamber in which he honeymooned. This book should also in no way be considered journalistic, even though there will be gentle investigative elements. Also, because it sounds vaguely insulting. I’m not sure why. However, I do interview many people throughout this book as I try to discern more specifically—since I already understand it primally—why they spend so much of their lives ensuring that someone else, someone already famous and globally esteemed, lives on far beyond them at a particular place. Finally, this book is not a guidebook. Every site and artifact in it, where it’s not on somebody’s personal property, will have all the information anybody needs to visit it. But I don’t really arrange that information in an easy-to-use format. Unless I end up doing that in an appendix at the end. Actually, that’s a good idea. I’m going to do that. But it still won’t be a guidebook, no matter what the back cover ends up saying. And while I’m pretty confident about what this book is not, I’m a little wobbly on what it is. I think the best way to describe it would be a travelogue or travel diary, a personal narrative of my experiences visiting the places that sanc- tify Poe’s memory and the people responsible for doing so. And since these will be my experiences, I guess you should know a bit more about my attitude toward Mr. Edgar Allan Poe and the biases I bring with me on this journey. As you can no doubt tell by the tenor of this introduction, I’m fascinated by Poe and his work. A fan, to put it simply. I like his work, at least his darker stories and poems, the ones that give impeachable evidence of a man in supreme control of a language and a feel for the macabre. I like the story of his life, that of a man trying to find a few crumbs of comfort and recognition and expand what can be done with literature. I like his myth, the drunken, tormented, insane creature wringing out a dark life into dark ideas. And I like all the blurry bits in between. I like Poe. So there’ll be a lot of hagi in this ography. But I’m not a scholar. Not an expert on Poe or literature. I once submitted a paper on him in a college literature class where I misspelled his middle name as “Allen” every single time (the trick, I’ve since learned, is remembering that Edgar Allan Poe only has an “e” at each end). I also won’t be trying to shed light on any of the controversies of his life . . . whether he made it back to Europe as an adult, when he was being satiric and when sincere in his stories, what his exact level of fame was during his lifetime, whether he was really an alcoholic and a drug-fiend, which school of criticism is the most effective at quickening his work. I’m just a guy who likes Poe and especially likes his place in culture right now. A guy who has lived in two of the same states as Poe and worked for years in a third. A guy who, as a result of this book, lived Poe for a year . . . geographically, experientially, posthumously. A guy who marvels at the glorious oddity that is Edgar Allan Poe. And Edgar Allan Poe was an oddity. But what he left behind is even odder. Buy Poe-Land today or read more about it here.